While starting a business is the American dream, the fact remains that a majority of businesses fail within the first year. When this happens, most owners choose to file for bankruptcy to protect themselves from additional liability. When bankruptcy is the best option, the owner files paperwork in federal court, where a course of action is chosen to eliminate or repay debt under court protection. Most business bankruptcies are classified as liquidations or reorganizations, depending upon the situation. Depending upon the business involved, there are three types of bankruptcies that can be looked at as options: Chapters 7, 11, and 13. Sole proprietorships, the most common business started, can file bankruptcy under any of these. Because the owner of a sole proprietorship is responsible for all assets and liabilities of the business, it is considered a legal extension of the owner. However, corporations and partnerships are considered separate legal entities from the owner and can only file bankruptcy under Chapters 7 or 11. 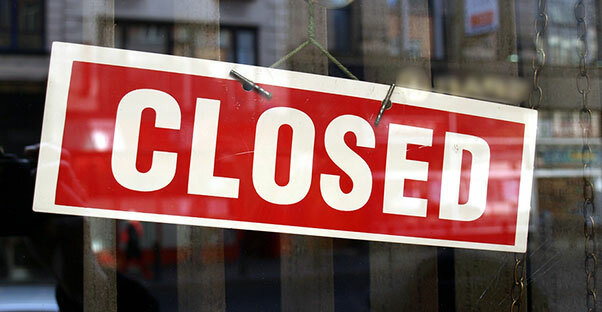 Chapter 7 bankruptcy is chosen when a business has no hope or desire to continue operating. Also called liquidation, it is the best option when the company's debts are so large there is no reasonable or possible way in which they can be restructured. Also used when the business has no assets of any value, Chapter 7 means the business ceases operations for good. In Chapter 7, the court appoints a trustee to distribute whatever assets are available among the creditors. After this is done, business owners are "discharged," meaning they no longer are under any obligation for the debts they incurred. Chapter 11 bankruptcy is used when a business simply wants to reorganize and continue operating. The reorganization is conducted through a court-appointed trustee, which sometimes can be the owner of the bankrupt business. The business owner files a plan as to how it will reorganize, and the creditors vote whether or not to accept the plan. Chapter 11 is very complex, and most plans take over a year to be confirmed. Once they are, payment to creditors can begin, but must be completed within a 20-year period. Chapter 13 bankruptcy, though usually reserved for consumers instead of businesses, can be used for sole proprietorships in some cases. In these instances, the business owner files a repayment plan with the court detailing how creditors will be repaid. The court determines how much will need to be repaid based on several factors, including the person's earnings, how much is owed, and how much property is owned. In many sole proprietorships, both personal and business assets are intertwined. Therefore, in some cases, a person's home may be at risk. If this is the case, filing Chapter 13 rather than Chapter 7 can let business owners keep their home while repaying their debts. Before filing bankruptcy, it is best to consult with an attorney to see which form would work best for the individual situation. Sometimes, other options may be available that can accomplish the same goals with far fewer legalities.